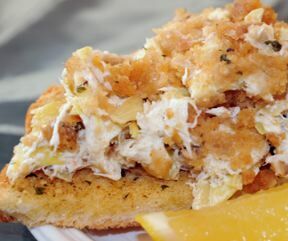 Put crab meat in a casserole dish and top with mix of crumbs. Cook until brown. Serve with Melba Toast of the side.